Continuing its often breakneck rate of releasing beta versions of various operating systems, Apple has today made available the sixth iteration of its tvOS 11.3 beta to developers and public testers just a week after the fifth was released. This current beta also comes just a month after Apple made the tvOS 11.2.6 release available to everyone. These tvOS updates are designed for the fourth and fifth generation Apple TVs, with the developer and public beta releases installable over-the-air once the configuration for betas has been enabled on the device. Once this has been done the Apple TV in question will continue to receive beta updates rather than the standard, public updates that are pushed out via Apple’s normal process. While changes specific to beta 6 have yet to make themselves known, there is plenty to look forward to once the release goes public. 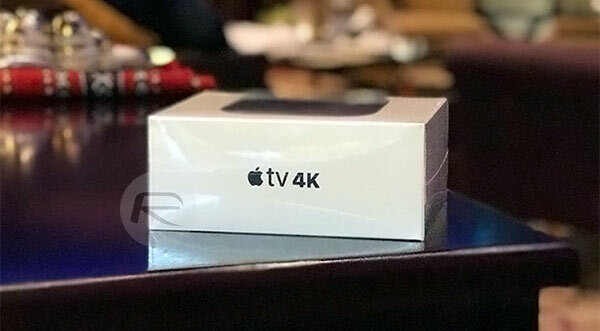 Enhancements to Match Content support as well as automatic frame rate switching on the fourth generation Apple TV are present in existing beta releases, with the latter giving Apple’s older Apple TV feature parity with the 4K version of its set-top box . Automatic mode switching for AirPlay video is also included. One feature that may or may not make an appearance in the final, shipping version of tvOS 11.3 is AirPlay 2 support. The feature, which allows the Apple TV to be added to the Home app as part of an existing HomeKit setup as well as support that allows multiple Apple TVs to play the same song, was added in early beta releases but was then subsequently removed. It’s unclear at this time whether AirPlay 2 will return when Apple makes tvOS 11.3 public, which is likely to happen sometime next week, but with the newly released HomePod also waiting for AirPlay 2 support we suspect the feature will be a priority within Apple right now and if it isn’t, it really should be. Developers and public testers can get the new beta 6 release of tvOS 11.3 installed onto their Apple TVs right now.